Rowdy Rathore (2012) Hit or Flop : Box Office Collections - Checkout Box Office Verdict, Trailers, songs, lyrics, release date and collections of Akshay Kumar, Sonakshi Sinha starrer Rowdy Rathore . The movie is directed by Prabhu Deva. 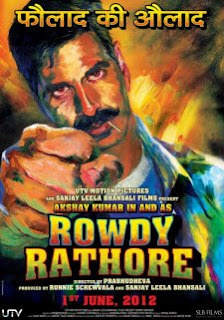 It released in India on 01 June, 2012.